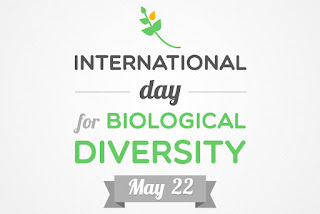 India annually observes Anti-Terrorism Day on May 21. This is a very important memorial day for the country. 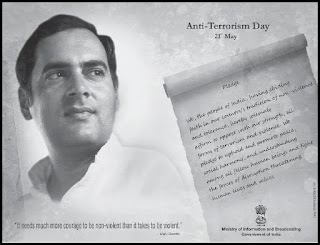 May 21 was chosen as Anti-Terrorism Day since it's the day when Rajiv Gandhi, the seventh Prime Minister of India, was killed. He served as Prime Minister from 1984 to 1989 and was the youngest Indian prime minister. Anti-Terrorism Day has an objective to urge Indians to struggle for peace, unity and harmony and remind about the precaution measures that can help prevent terrorist attacks. 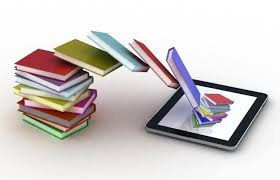 Inaugurating the website, Chief Minister Manohar Lal Khattar said as of now, 26 textbooks of classes IX to XII have been uploaded on the portal and these can be easily converted into audio files. The aircraft, which was piloted by a Hindustan Aeronautics Limited (HAL) test pilot, had completed the high-speed taxi trials a few days ago. The committee has recomended "a slew of measures" which includes study to guide de-silting activities, sand registry for de-silting and a technical institute to conduct the sediment budget, flood routing studies and confirm the necessity of the de-silting of section of the river. The committee was asked to establish the difference between desilting and sand mining and also establish the need for desilting for ecology and environmental flow of the Ganga river. 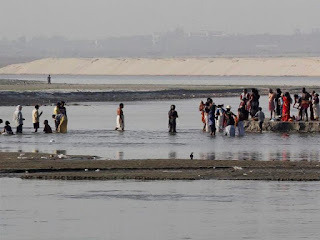 The committee, headed by expert member of National Ganga River Basin Authority Madhav Chitale, was constituted in July 2016 by the Ministry of Water Resources to prepare guidelines for desilting the Ganga from Bhimgauda in Uttarakhand to Farakka in West Bengal. India will be hosting the next annual meetings of the African Development Bank (AfDB) Group at Mahatma Gandhi Convention Centre, Ahmedabad from 22 to 26 May 2017. This will be a mega international event to be attended by over 5,000 delegates from 80 member countries of the African Development Bank, including the governors, alternate governors, executive directors, policy makers and businesses. The African Development Bank (AfDB) was established in 1963 with a view to promote the economic development and social progress of its regional members. India became member of the African Development Bank in 1983. 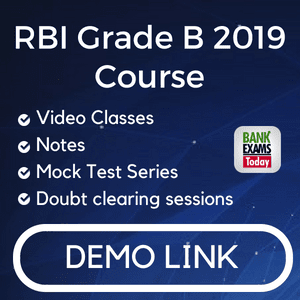 The union finance minister and secretary, department of economic affairs, hold the posts of governor and alternate governor, respectively, of the bank. The Jaipur Literature Festival was today inaugurated in London to present a sumptuous showcase of South Asias literary heritage, oral and performing arts, books and ideas, dialogue and debate. The British Library, the second largest library in the world by number of items catalogued, played host to the annual festival as part of the wider UK-India Year of Culture celebrations and included a wide array of authors and artists from India, the UK and beyond. The year 2017 marks the fourth London edition of the festival, which has its roots in the Pink City of Jaipur where it marked its 10th anniversary in January this year. The JLF is a flagship event of Teamwork Arts which produces over 25 major performing arts, visual arts and literary festivals across more than 40 cities globally. Gitanjali Gems Ltd was placed in the 30th rank, followed by Titan Company(31st) and PC Jeweller (44th) in the fourth annual Global Powers of Luxury Goodsreport. Among the top 10 companies globally, three are luxury conglomerates participating in multiple sectors of the luxury good market. 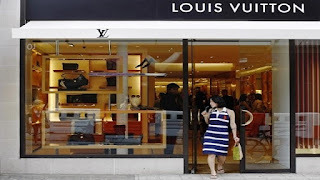 The fourth annual Global Powers of Luxury Goods report, titled 'The new luxury consumer', examines and lists the 100 largest luxury goods companies globally, based on publicly available data for consolidated sales of luxury goods in 2014 -2015. A refugee camp in Jordan has become the first in the world to be powered by renewable energy. About 20,000 Syrian refugees living in the desert camp of Azraq will be able to use electricity generated by a solar plant. The new $9.6m (£7.49m) two-megawatt solar plant was built by the Ikea Foundation’s Brighter Lives for Refugees campaign and is expected to save $1.5m (£1.15m) a year, which the United Nations High Commissioner for Refugees will be able to use to improve sanitation, shelters and organise activities around the camp. 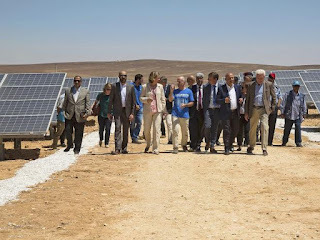 Azraq’s solar plant is connected to Jordan’s national grid and the surplus electricity will be sent back for local communities to use for free. 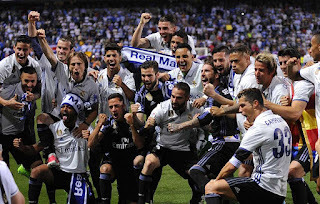 Real Madrid won the Spanish league for the first time in five years and kept rival Barcelona from its third straight championship. Zinedine Zidane's team secured its 33rd league title with a 2-0 win at Malaga with goals by Cristiano Ronaldo and Karim Benzema. Madrid entered the final weekend needing a draw to guarantee its first title since 2012 and avoid its worst title drought since the 1980s. 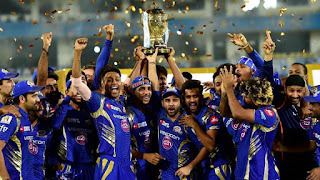 This was Mumbai Indians' third IPL trophy in 10 editions and more special for their skipper Rohit Sharma, who is the only captain to win a hat-trick of titles. Rohit has in fact ow won four IPL titles (one for Deccan Chargers in 2009). For Mahendra Singh Dhoni, it was yet another final that ended in a defeat -- fifth in seven summit clashes. Thirteen-year-old Vaishnavi of India beat hundreds of competitors to win the first Asia Level Yoga Competition. Winning gold is nothing new for Vaishnavi—She has reportedly won more than 200 contests of the more than 1,000 she has entered. Fide Master Mitrabha Guha racked up 8.5 points to finish second in the 10-round tournament while untitled Srijit Paul (8) finished third ahead of Grand Master Saptarshi Roy Chowdhury with a better tie-break score. 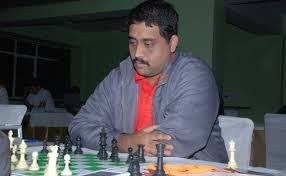 International Master Somak Palit scored 7.5 points to secure the fifth place while another International Master Prantik Roy (7) was placed eighth. 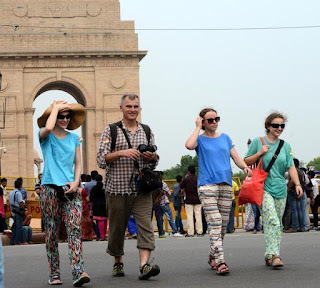 With the inclusion of non- resident Indians among international tourists, India has jumped 16 places in the revised World Tourism Organisation (UNWTO) rankings to settle at 24th for 2014 and 2015. Earlier, it was ranked 41st and 40th in 2014 and 2015, respectively, as per the global ranking. India has taken huge strides in the tourism sector in the last year with its rank in the Travel and Tourism Competitiveness Index (TTCI), 2017 had also shown a 12 places jump from 2015. Rank of India in TTCI Report of 2017 was 40 as compared to 52 in 2015, 65 in 2013 and 68 in 2011. While UNWTO gives ranking in terms of numbers of ITAs, TTCI is composed of 14 pillars organised into four sub-indices of ‘Enabling Environment’, ‘Travel and Trade Policy and Enabling Conditions’, ‘Infrastructure’ and ‘Natural and Cultural Resources’. Reliance Jio has received TM Forum’s ‘Digital Service Innovator of the Year Award’ 2017. TM Forum is the industry association driving digital business transformation of the communications industry. Reliance Jio got this award by acquiring 90 million customers in four months. 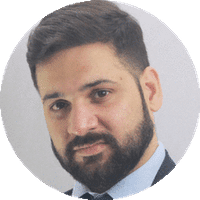 Digital Service Innovator of the Year Award is given to the company or organisation which has made the most significant and innovative contribution to advancing the digital revolution in society. 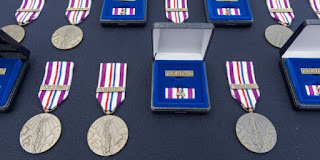 Two Indian peacekeepers will be among 117 military, police and civilian personnel to be honoured with a prestigious United Nations medal awarded posthumously for their courage and sacrifice in the line of duty. Rifleman Brijesh Thapa who served with the United Nations Organisation Stabilisation Mission in the Democratic Republic of the Congo and Private Ravi Kumar who was deployed with the United Nations Interim Force in Lebanon will be honoured with the Dag Hammarskjöld Medal on the International Day of United Nations Peacekeepers to be observed on 24 May. The International Day of United Nations Peacekeepers was established by the General Assembly in 2002 as a tribute to all men and women serving in peacekeeping operations for their high level of professionalism, dedication and courage and to honour the memory of those who have lost their lives in the cause of peace. 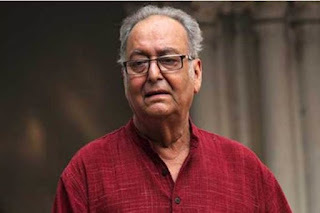 The Banga Samman awards were instituted in 2011, after Banerjee came to power. Celebrated artistes, singers, sportspersons, filmmakers, intellectuals have been honoured with these awards in the past. Two categories of awards are presented as part of Banga Samman - Banga Bhushan and Banga Bibhushan. Industrialist Deveshwar, pulmonologist Dhiman Ganguly, former Mizoram Governor Arun Prasad Mukherjee, veteran actor Chatterjee, and acclaimed poet Nirendranath Chakraborty were conferred the highest category of awards, the Banga Bibhushan. 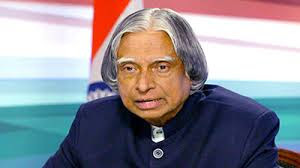 Scientists at NASA have named a new organism discovered by them after the much-loved APJ Abdul Kalam. The government on Friday approved a one-year extension in service to DRDOchief Dr S Christopher, an aeronautical scientist who was to retire later this month after a two-year term. 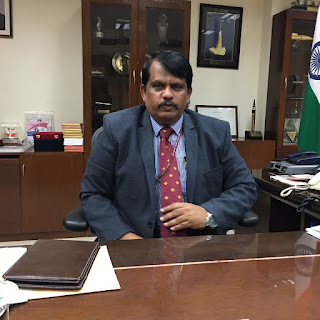 The appointments committee of the cabinet said Dr Christopher would continue as secretary of the department of defence research and development and DRDO chairman for a period of one year with effect from May 29. Breaking stereo types a lecturer from transgender community Aisha Mughal is appointed lecturer in Quaid-i-Azam University in Islamabad. It has happened for the very first time in the history of Pakistan that government has officially appointed a transgender as a teacher. Aisha has been appointed as the lecturer of the Department of Gender in Quaid-i-Azam University. Appointment of Aisha Mughal based on merit will signify that any sort of constraints don’t matter if someone is competent enough to make name for good.